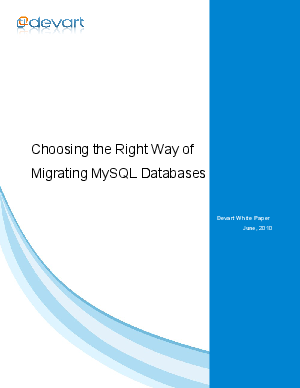 This white paper examines the use cases of database migration and challenges that accompany it. The main attention is devoted to solutions used to remove the complexity and bottlenecks of database migration. This white paper introduces Devart's Schema and Data Compare tools tailored to facilitate any database migration tasks and reduce time and effort.